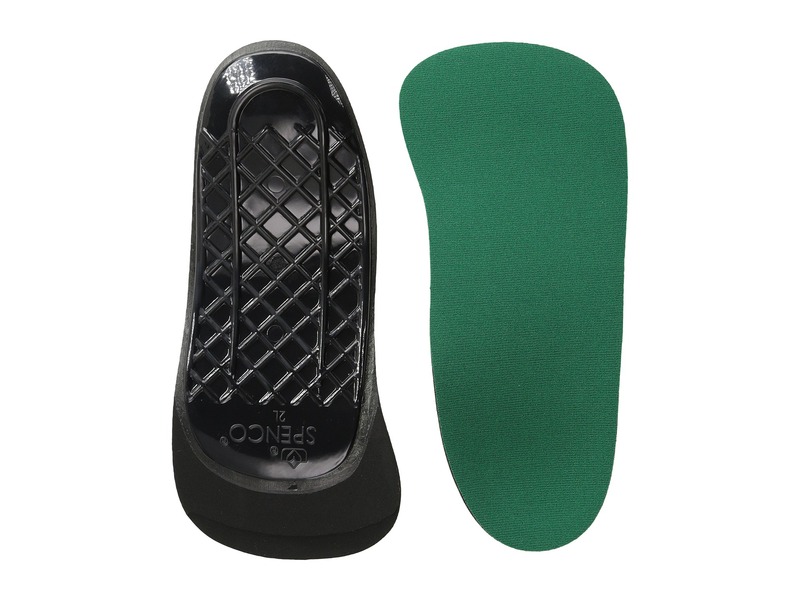 Insoles are a fantastic tool for helping provide cushioning and support for your footwear. But with so many options available, what should you look for when buying insoles? Our website includes a number of handy filters, so you can tailor your selection to suit your need. To help you choose, this basic guide will help you understand the differences between our insoles, so you can choose the one that’s right for you. Insoles are generally divided into two distinct categories, flat comfort insoles and orthotic supports. The flat shoe insert is the most basic form of shoe insole. Also known as comfort insoles, they are designed to provide extra cushioning, reduce friction and provide additional shock absorption for your feet, which makes walking long distances easier. Comfort insoles are often trim-to- size, meaning you don’t have to order the exact size for your shoe, and they may offer additional benefits such as anti-microbial coverings for getting rid of nasty food odours. If you’re looking to make your shoes more comfortable for a cheap price, flat shoe inserts are for you. What they won’t do however is provide any form of support or increased biomechanical control for your foot. Provides comfort, reduced friction & additional shock absorption. Do not provide additional support or biomechanical control. ck absorption, but also gives the wearer added support and biomechanical control, thanks to their shaping which Is designed to provide contact across the entire foot. Orthotic insoles can help with medical conditions including plantar fasciitis, Achilles tendonitis, flat feet and over-pronation. Orthotic insoles come in a variety of types; some are designed for everyday use whilst others have been developed for specific conditions or lifestyles. It is important to adapt to wearing insoles gradually, only wear them for two to three hours a day at first; gradually increasing the length of time you spend in them over a month or so, until you can wear them comfortably. Orthotic Insoles come in two basic sizes, ¾ length and full length. Full Length Orthotics support the whole of the foot, from heel to toe. Most full length orthotics provide both heel and full arch support for the user, absorbing shock and providing relief from a range of painful medical conditions. There are many variations of full length orthotics, including material density, heel cup size and arch support level. Fit securely in most shoes. May struggle to fit in slimmer shoes such as dress shoes or high heels. View our range of full length orthotics here. Fit in low profile shoes such as plimsolls and football boots. Provided heel and arch support. Can slip inside shoes due to shape. Less Support under front arch. View our range of 3/4 length orthotics here. Orthotic Insoles tend to come in three levels of density and cushioning; soft, medium or hard/rigid. The majority of insoles are medium density, and these will be suited to most users. Soft insoles are more suited to those with sensitive feet, and are perfect for wearers with medical conditions including arthritis or diabetes, however soft insoles provide only mild support and are not suited to larger framed wearers. Medium density insoles offer a good balance between support and comfort, they are suitable for everyday wear from sports activities to gentle walks. Hard insoles offer the least cushioning but greatest level of support, biomechanical control and stability, but should be avoided by wearers with diabetes. They may feel uncomfortable for the first few weeks of wear, but are the most efficient in aiding with foot realignment. The level of arch support refers to both the height and firmness of the ridge which runs along the inside centre of the insole. The ridge is designed to sit under the arch of the foot, reducing pressure on the metatarsals and heel and redistributing it across the whole foot. Arch support can help ease the symptoms of plantar fasciitis and aids with under and over pronation (excessive rolling out or in) caused by high or fallen arches respectively. Left untreated, under and over pronation can cause ankle, knee, hip and back pain. 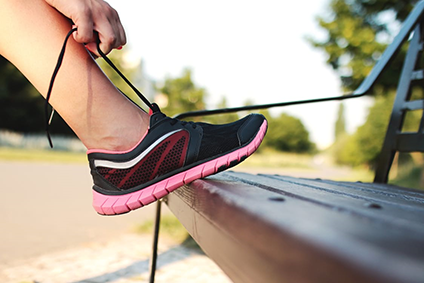 If you’re one of the 30% of people who suffer from fallen arches (Pes planus), often known as flat feet, you may find yourself over pronating, where the foot rolls in too much while walking. If so, a low arch support will gradually lift the arch into a more neutral position. You may wish to graduate to a medium arch support after becoming used to a low arch support insole, but it is important to increase the level of support gradually to avoid pain and discomfort. Low arch support insoles will also add extra stability even if you don’t suffer from fallen arches. The extra support can help prevent injury during physical activity such as playing sports or hiking. A good middle ground, insoles with medium arch support can help add stability and disperse pressure across the foot, reducing pain from plantar fasciitis and preventing it from occurring in the first place. Medium arch support insoles are recommended for individuals with neutral feet, or for those with fallen arches who are graduating from low arch support Insoles. High arches (Pes Cavus) affect around a fifth of the population. High arches offer little support, and put excessive pressure on the heel and metatarsals which can cause painful plantar fasciitis. A high arch can also lead to poor stability. A high arch support sits under a high arch, redistributing pressure and helping ease the symptoms of Pes Cavus. If you are unsure what type of arch you have, ask your Podiatrist. The heel cup refers to the level of support around the heel area. Heel cups raise the heel to varying degrees, reducing the pressure on the Achilles tendon, easing pain caused by plantar fasciitis and Achilles tendonitis. Heel cups increase support around the ankle, preventing over pronation. Insoles with no heel cup will not increase support around the heel area. An insole with a low heel cup will offer a degree of cushioning and support for your heel, reducing heel strike whilst still fitting in low volume shoes. A medium heel cup will minimise heel strike and provide a good level of shock absorption, creating a snug fit around the heel. A medium heel cup will provide more control around the heel, increasing support. Medium heel cups are useful for high intensity sports like football where stability is important. High Heel cups provide the greatest degree of control and stability. Building an excellent fit around the heel, high heel cups prevent over pronation by holding the heel firmly in place. You should look for high heel cups if you suffer from painful plantar fasciitis or Achilles tendonitis, or if you want extra stability for hiking or other similar activities. Insoles with high heel cups may struggle to fit into low profile shoes like plimsolls. Insoles come in a range of different thicknesses or volumes to suit a varying range of shoes and conditions. The thinnest range of insoles, low volume orthotics tend to feature less arch support and a lower heel cup, but fit well in shoes with less space, such as football boots or plimsolls or high heels. A good level of thickness to suit most needs, medium profile insoles will fit most everyday shoes and come in a range of different support levels. Offering the highest level of support, high profile orthotics will take up the most space in the shoe, so are recommended either for people who need a high level of support or for footwear with more room such as walking boots or wellingtons. Hopefully you’ll now have a general idea of which insoles are right for you, and you’ll feel confident in using our website filters to narrow down your selection and find the perfect pair. If you’d like further guidance you can drop us an email, but bear in mind for professional advice you should see a registered Podiatrist.